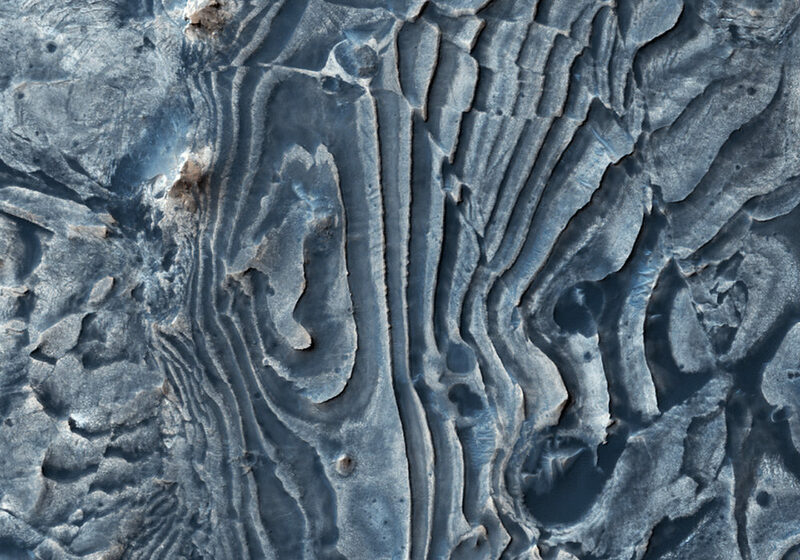 This image of northern Meridiani Planum shows faults that have disrupted layered deposits. Some of the faults produced a clean break along the layers, displacing and offsetting individual beds ( yellow arrow ). Interestingly, the layers continue across the fault and appear stretched out ( green arrow ). 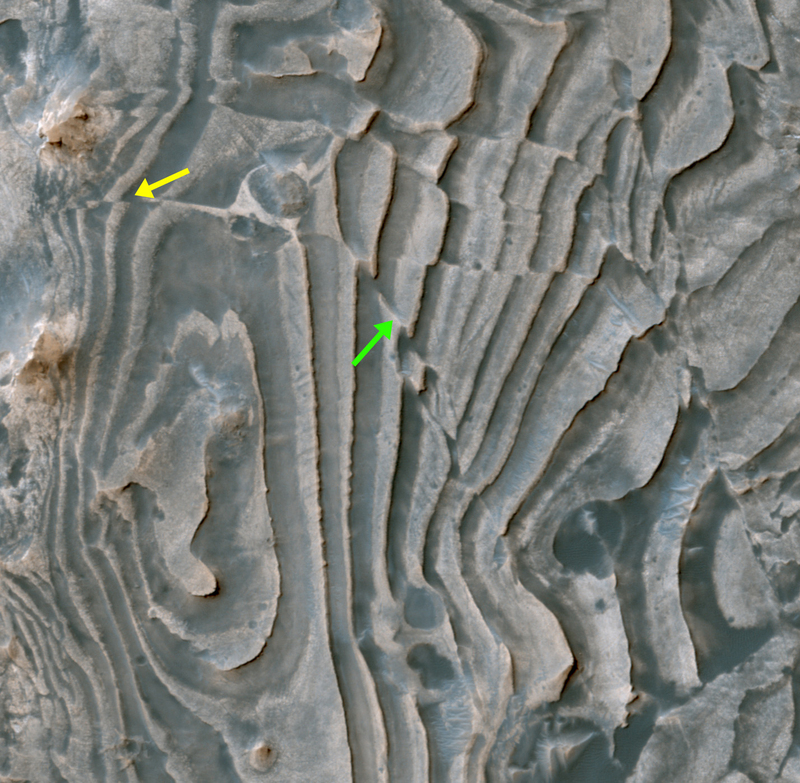 These observations suggest that some of the faulting occurred while the layered deposits were still soft and could undergo deformation, whereas other faults formed later when the layers must have been solidified and produced a clean break.